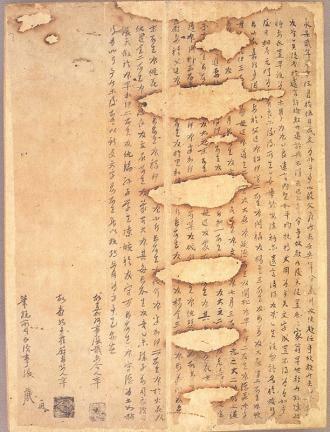 조선 세조부터 성종 때까지의 문신인 장말손(1431∼1486)의 종손가에 보관되어 전해오는 고문서들로 5종 18점이다. 이들 고문서에는 고려 우왕 11년(1385) 장말손의 증조(曾祖)인 장전(張戩) 의 소지(所志)를 비롯하여 장전의 논밭·노비소유관계 문서와 도망간 노비를 잡아줄 것을 요청하는 내용이 담긴 문서가 있다. 「장전처신씨자매화회문기」는 장전의 처 신씨의 세 자매가 상의하여 재산을 나눈 문서이며, 「장안량별급기」는 장말손에게 가사를 내린 문서이다. 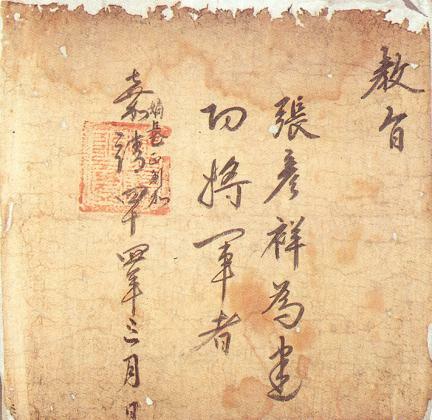 이들 9건의 문서를 묶어 1첩의 문서로 펴냈으며, 이외에도 명종 16년(1561) 장말손에게 발급된 교지와 효종 12년(1655)에 예조의 허가문서인 예조입안 등이 있다. 고문서들의 크기는 모두가 각기 다르다. 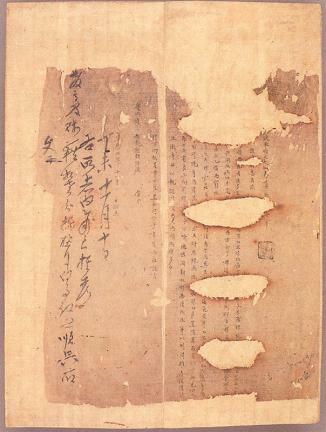 당시의 사회, 경제, 제도사 연구에 귀중한 자료가 될 뿐만 아니라, 고려 후기∼조선 전기의 소지, 분재기 등의 문서양식을 살피는데에도 귀중한 자료로 평가된다. 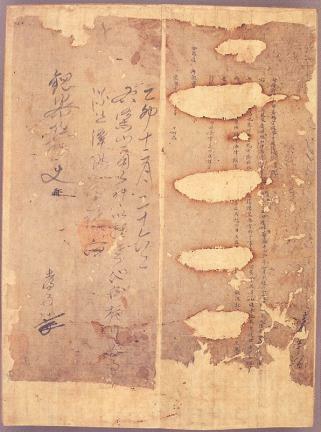 These documents consist of a type of written petition and several records of property inheritance given to Jang Mal-son and his family. 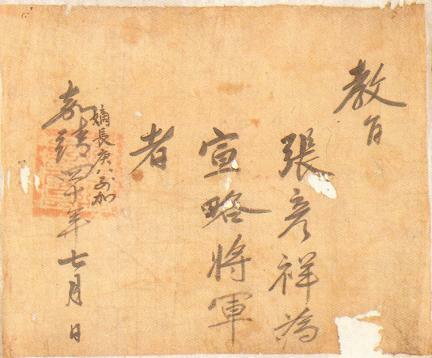 Jang Mal-son (1431-1486) was a civil official from the reign of King Sejo to that of King Seongjong. 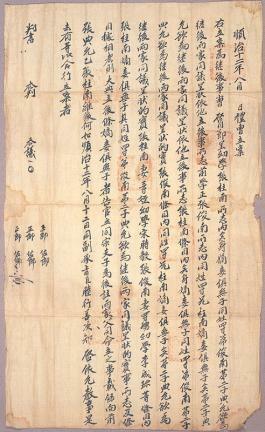 There are 18 items in 5 types, and all the documents have been held by the descendants of the Jang Family. 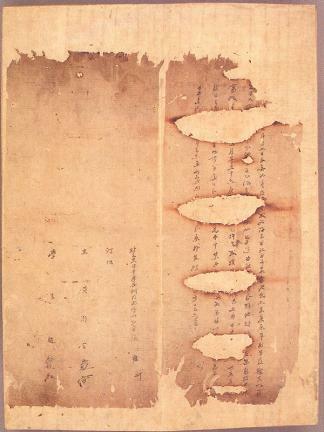 These ancient documents include the petition made in 1385 (11th year of the reign of King U of the Goryeo Dynasty) by Jang Jeon, who was a great-grandfather of Jang Mal-son, records of property inheritance, and records of runaway slaves. 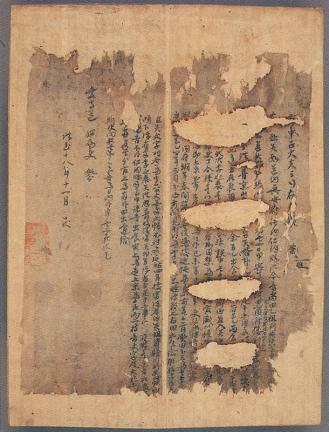 All the documents come in different sizes, and they are valuable materials in the study of social, economic, and institutional bases of the period. 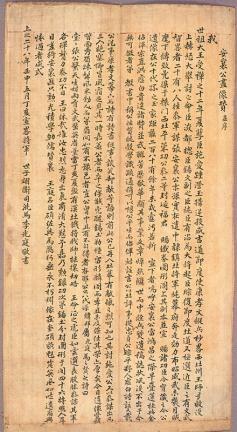 They are also important in identifying the form of petitions and wills in late Goryeo and early Joseon.